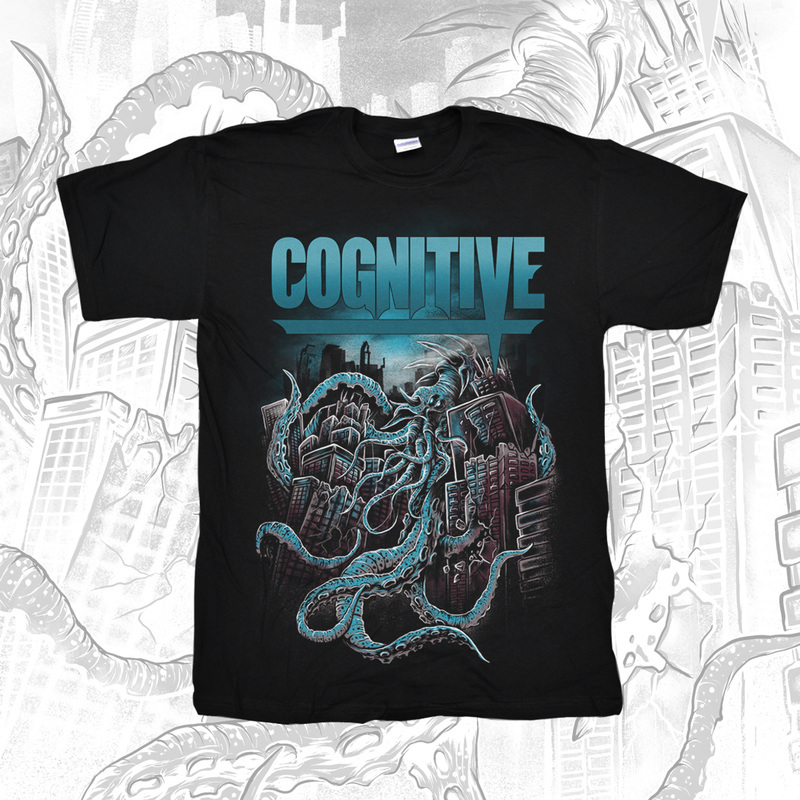 ​COGNITIVE was born in 2011 with the sole intent to create heavy, intensely technical music, while maintaining an edge of creativity that separates them from the over-produced sea of sub-genres. Hailing from South Jersey, combining technicality, guitar solos, grooves, and abstract ideas with song writing, COGNITIVE are continually pushing themselves to think outside of the box while maintaining a sheer brutal edge. In December 2013, COGNITIVE found a home on the Spanish label Pathologically Explicit Records, giving them a broader reach with their material. With numerous weekend warrior tours under their belt, COGNITIVE moved on to three separate full week tours with the likes of Devourment, Psyopus, Gorod, Wormed, Infernal Revulsion, and Condemned. 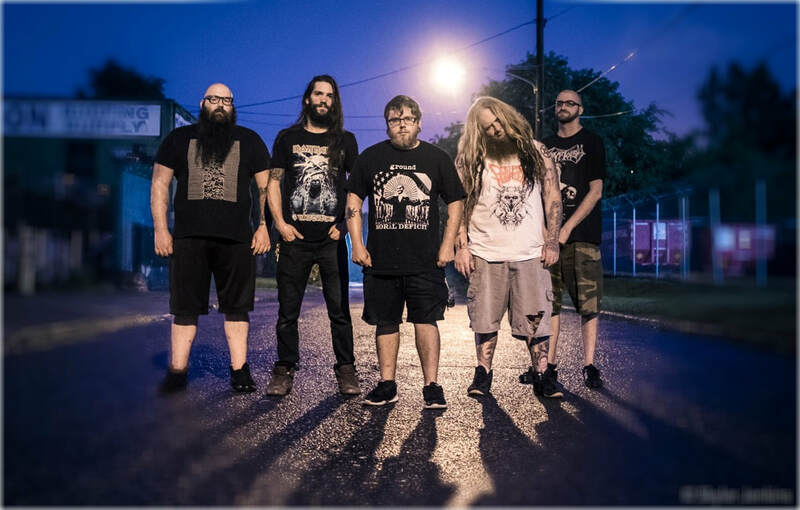 They have traveled to numerous states, and shared the stage with bands such as Between the Buried and Me, Cattle Decapitation, Suffocation, Gorod, Wormed, Infernal Revulsion, Devourment, Broken Hope, Wretched, Misery Index, Origin and more. With their 2012 debut EP “The Horrid Swarm”, COGNITIVE erupted onto the scene full force. In 2015 COGNITIVE joined the ranks of other high-profile metal acts such as Suffocation, Cryptopsy, and Cattle Decapitation, under the management roster of Extreme Management Group. With their self-titled album released to worldwide acclaim and extremely high ratings as well as featuring artwork by Tony Koehl (Black Dahlia Murder, Malignancy, Waking the Cadaver), COGNITIVE hit the road for a 29 show coast to coast tour including stops at Las Vegas Deathfest, Colorado Gutfest, Bogota Deathroad Fest in Columbia, Building Temples of Death Fest, direct support for Dehumanized in Puerto Rico, and so much more. In late 2015, COGNITIVE added lead guitarist Harry Lannon and bassist Ian Bainbridge. The addition of the two new members has injected new life and creativity as they hit the studio to record their 2nd full length album "Deformity", which was released on October 28, 2016. Before the release of "Deformity", COGNITIVE and original drummer, Mike Castro, parted ways. Armen Koroghlian was brought in to fill the shoes as the new drummer. In early 2017, Vocalist Jorel Hart announced that he would be departing from the band due to personal reasons. Shane Jost, who has filled in on vocals for a few shows before, was asked to step in and lead COGNITIVE into the future.